Plan ahead for acidity peaks, including during transportation and competition, and when the horse is on medication. Give Ekygard Flash once or twice a day before and/or after the acidity peak. Daily allowance:1 to 2 EKYGARD FLASH per day. 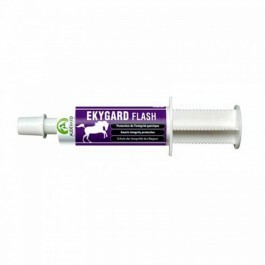 Please Note:EKYGARD FLASH is designed for occasional use when the horse has increased needs (e.g. during transport, competitions etc. ).